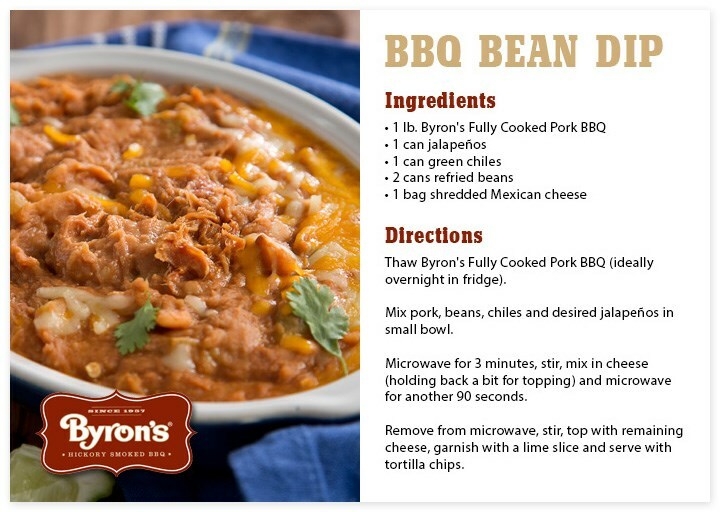 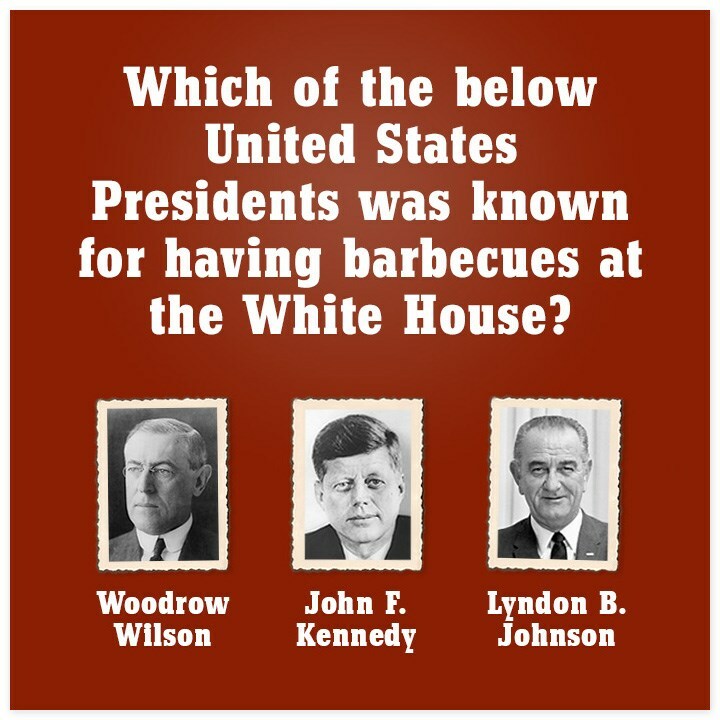 Byron’s BBQ is a Rich Products Corporation consumer brand specializing in frozen pork barbeque products. 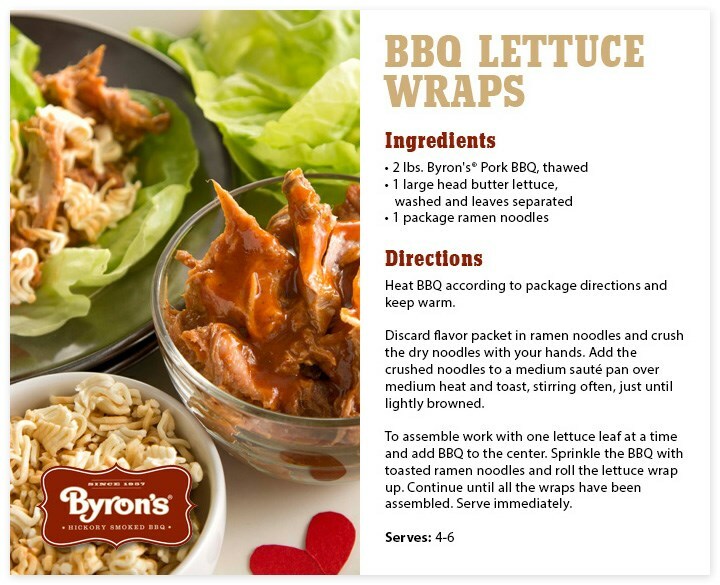 nuSpace Media collaborated with Butin Integrated Communications, Rich Products Corporation’s public relations company, to create a number of recipe and food-enticing graphics. 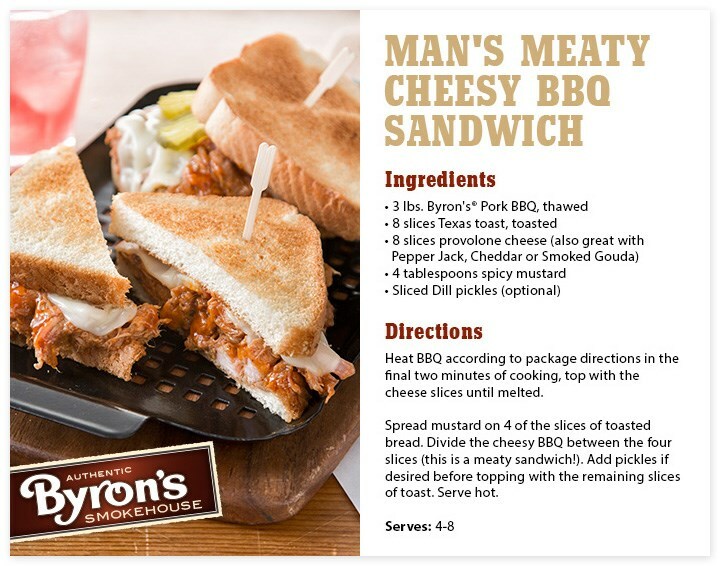 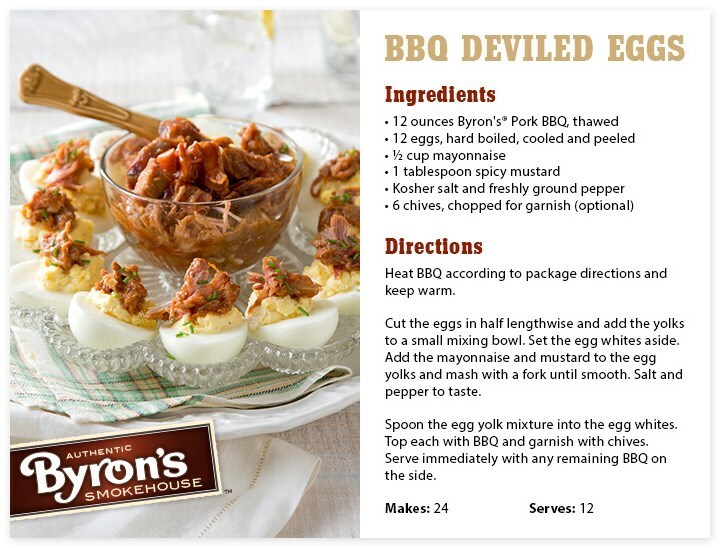 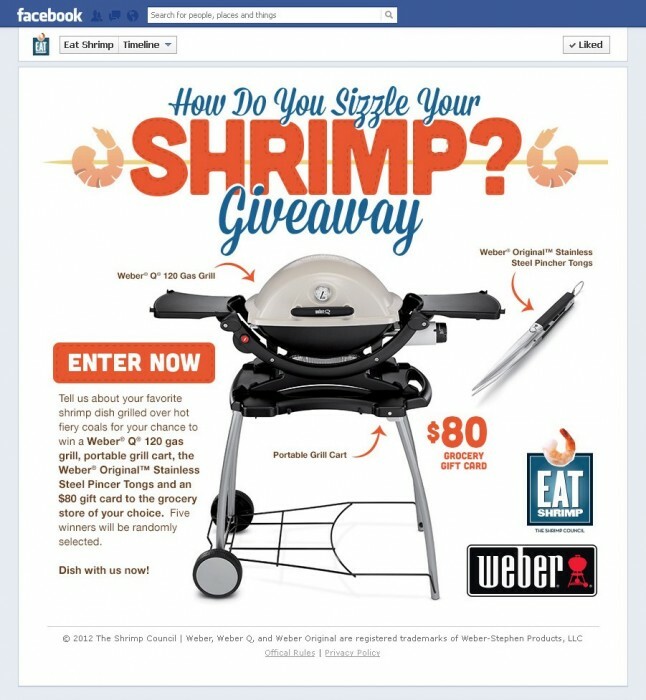 The graphics were designed to help promote Byron’s BBQ’s products on their Facebook page. 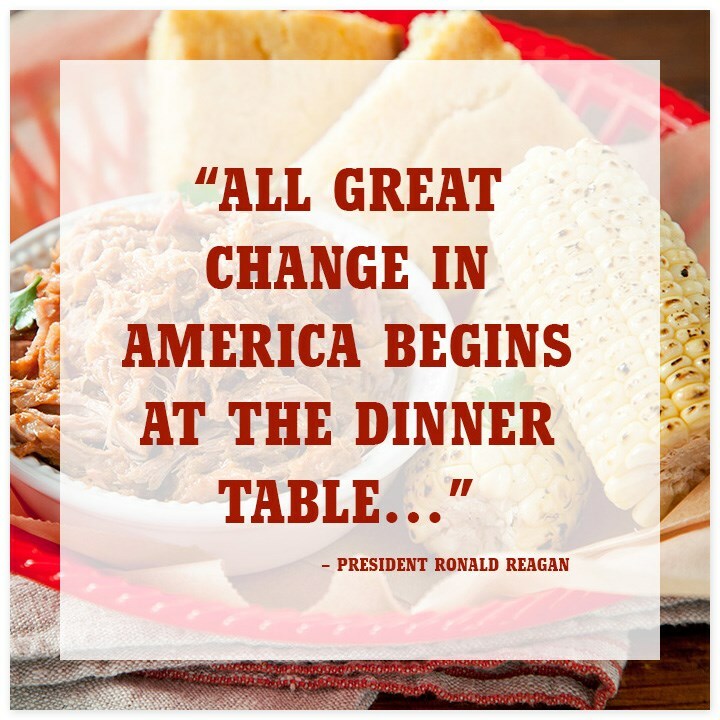 French Meadow Bakery is a division of Rich Products Corporation and focuses on providing all-natural, gluten-free, and whole-grain baked products to retailers. 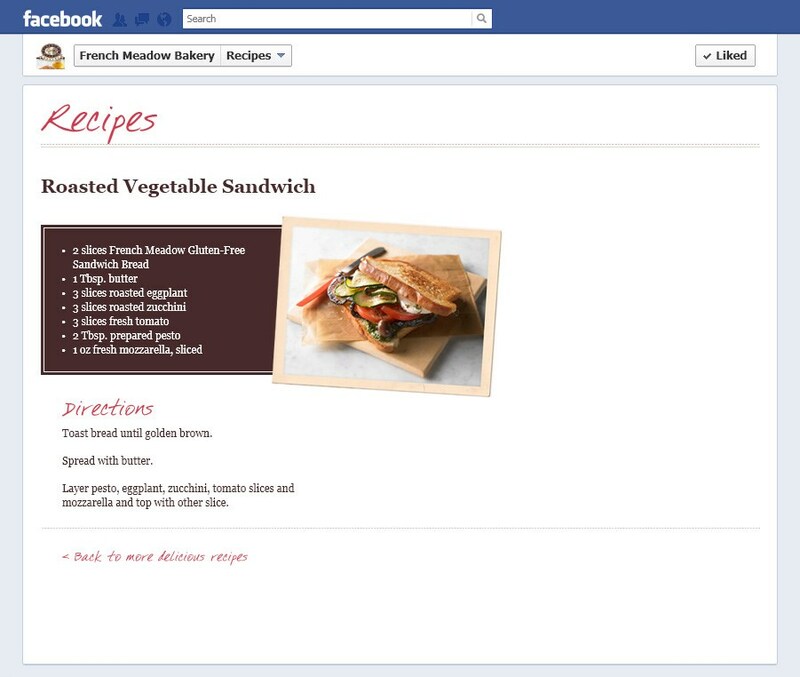 nuSpace Media collaborated with Butin Integrated Communications, Rich Products Corporation’s public relations company, to design and code customized Facebook pages via the Facebook Developer Apps. 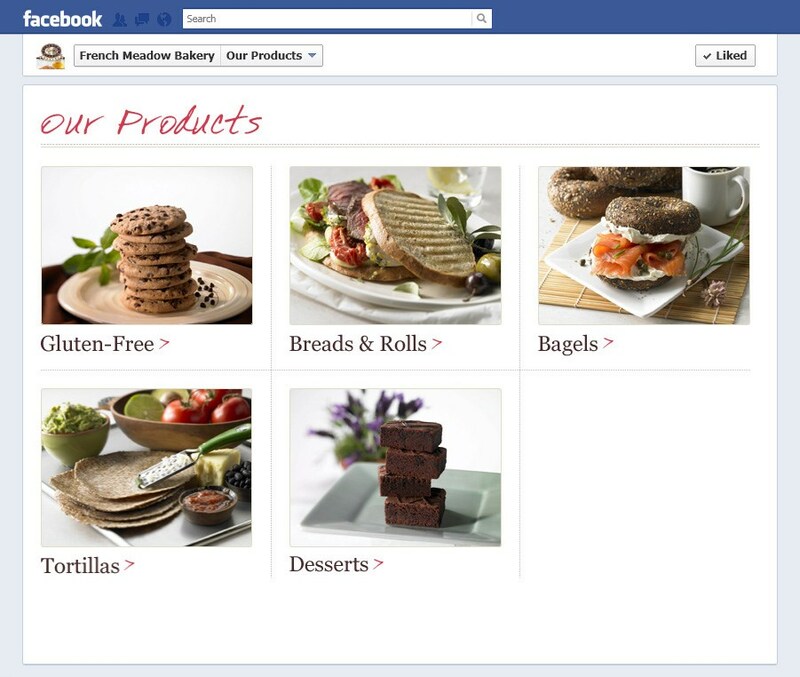 The look and feel of the French Meadow Bakery Facebook pages carried on the established brand design. 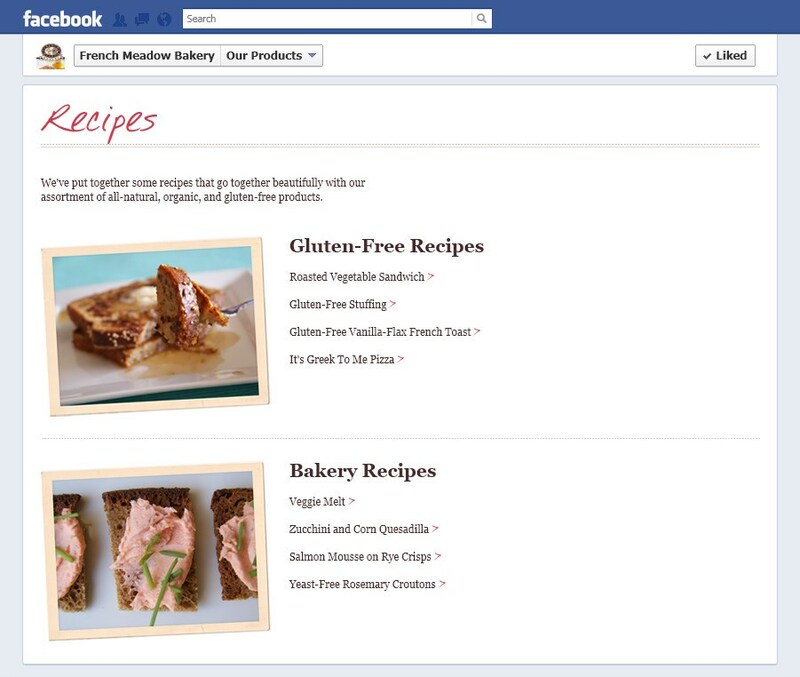 The French Meadow Bakery pages focused on recipe inspiration that would entice consumers to purchase French Meadow Bakery products. 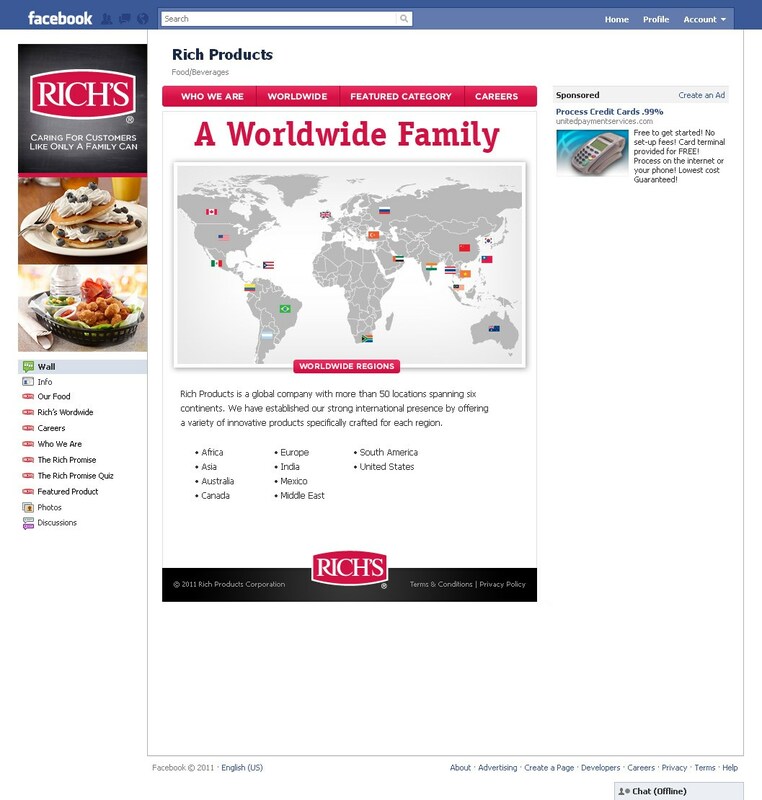 Rich Products Corporation is a privately-owned company providing a range of food products and services. 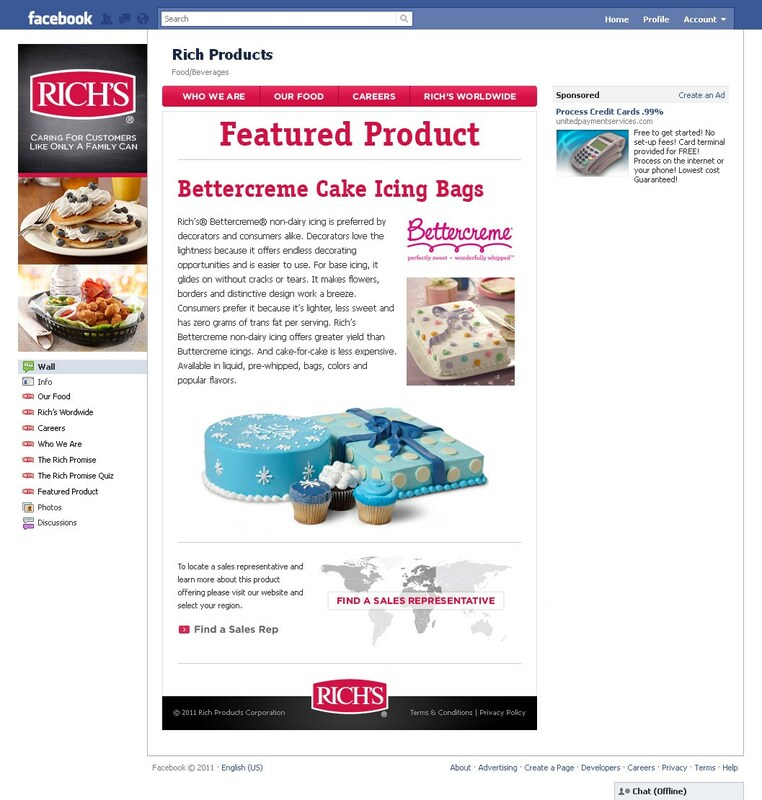 nuSpace Media collaborated with Butin Integrated Communications, Rich Products Corporation’s public relations company, to design and code customized Facebook pages via the Facebook Developer Apps. 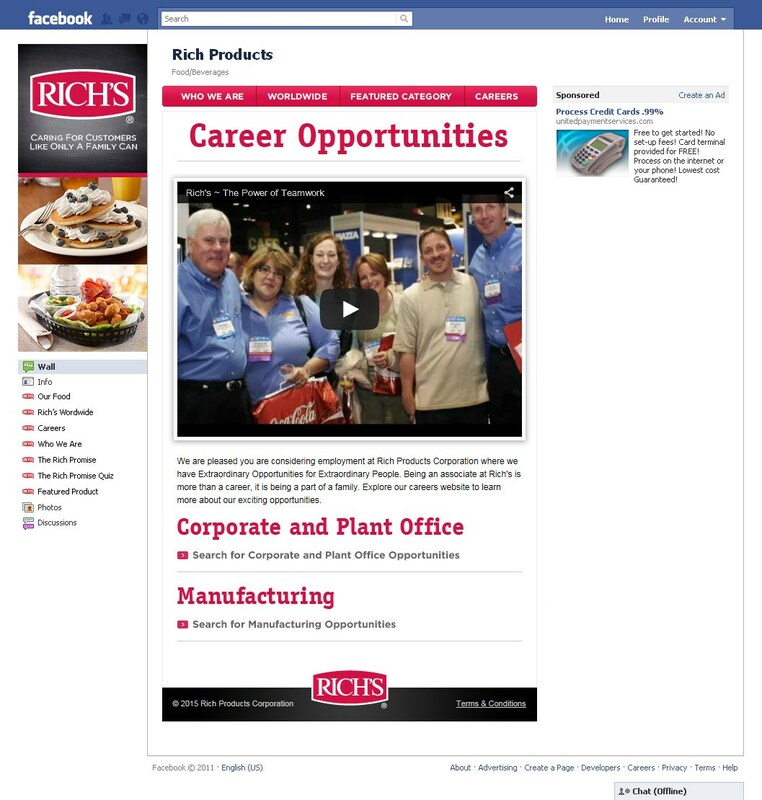 The look and feel of the Facebook pages carried on the brand established for the corporation’s website and were created to encourage new users to “like” and follow the Rich’s Facebook page.